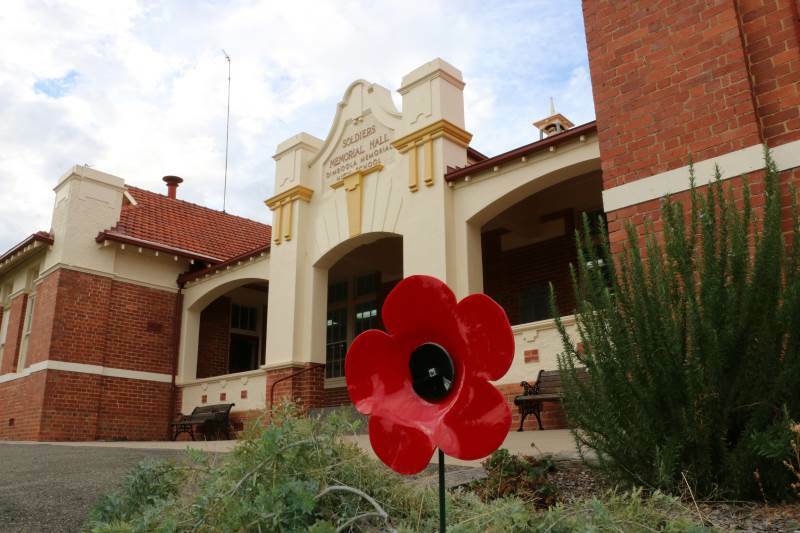 The memorial building is the original school building built In 1924 as Dimboola's war memorial to those who served and died in the First World War. It is located on the top of a hill overlooking the town and forms the focal point for the memorial precinct which is the site for the town's annual Anzac Day march and wreath laying ceremony. The front of the building along with the gardens and lawn area forms a tranquil courtyard which is the entrance to the veranda which contains the granite tablets engraved with the names of the district residents who responded to the call to defend the empire during both World Wars and Korea. This building is currently home to the school library/study centre, one classroom, the Year 12 common room and the IT office.